If 2008 was the financial apocalypse it is often written about, it is a zombie apocalypse for sure. It’s victims don’t die, they are merely resurrected as an infected horde threatening to infect the other survivors. And no matter how many times you think the enemy has been slain, it turns out there is always one more in a dark corner ready to jump out and bite you. This past month has seen the return of the zombie of deflation, a menacing creature that has spread from the worst ravaged economies in Europe into the healthier economies of the Eurozone. Deflation is like the unspoken evil twin that lives in the attic. I’ve yet to meet an analyst, portfolio manager or other financial professional that wants to take the threat seriously and doesn’t insist that inflation, and with it higher interest rates are just around a corner. The eagerness to shrug-off concerns about deflation may have more to do with the reality that few know what to do when deflation strikes. Keeping deflation away is challenging, but not impossible, and it has been the chief job of the central banks around the world for the last few years. 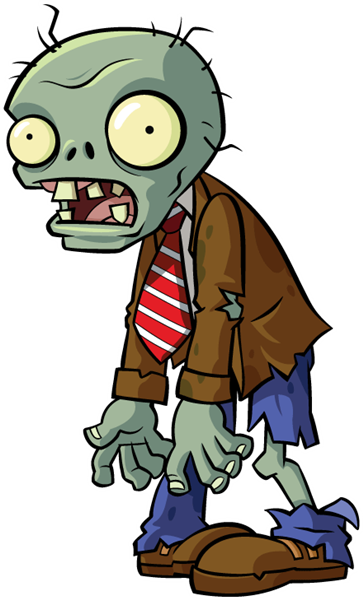 But like any good zombie movie, eventually the defences are overrun and suddenly we are scrambling again against the zombie horde. This. Except it’s an entire economy and it won’t go away. In the late 1990s, Japan was hit with deflation, and it stayed in a deflationary funk until recently. That’s nearly 20 years in which the Japanese economy didn’t grow and little could be done to change its fate. The next victim could be Europe, whose official inflation numbers showed a five year low in September of 0.3%. That’s across the Eurozone as a whole. In reality countries like Greece, Spain and Portugal all have negative inflation rates and there is little that can be done about it. Pressure is mounting on Germany to “do more”, but while the German economy has slowed over the past few months it is still a long way from a recession and there is little appetite to boost government spending in Germany to help weaker economies in the EU. Across the world we see the spectre of zombie deflation. Much has been made of China’s slowing growth numbers, but perhaps more attention should be paid to its official inflation numbers, which now sit below 2% and well below their target of 4%. The United States, the UK, the Eurozone and even Canada are all below their desired rates of inflation and things have gotten worse in this field over the summer. What makes the parallel between this and a zombie apocalypse so much more convincing is that we have squandered some of our best options and now are left with fewer worse ones. Since 2008 the world hasn’t deleveraged. In fact governments have leveraged up to help indebted private sectors and fight off the effects of the global recession. Much of this come in the form of lower (from already low) interest rates to spur lending. But when the world last faced global deflation the cure ended up being broad based government spending that cumulated in a massive war effort. By comparison the debts of the government haven’t been transformed into lots of major public works initiatives, instead that money has sat in bank accounts and been used for share buybacks and increases in dividends. For investors this is all very frustrating. The desire to return to normalcy (and fondly remembering the past) is both the hallmark of most zombie films and the wish of almost every person with money in the market. But as The Walking Dead has taught us, this is the new normal, and investing must take that into account. Deflation, which many have assumed just won’t happen, must be treated as a very likely possibility, and that will change the dynamics of opportunities for investment. It leads to lower costs for oil and different pressures for different economies. It will also mean different things for how people use their savings for retirement and how they will seek income in retirement. In short, the next zombie apocalypse can likely be defeated by paying attention and not keeping our fingers in our ears. If it were only this simple….